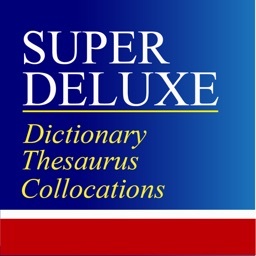 Thanks for using New Deluxe Dictionary-Thesaurus-Collocations! 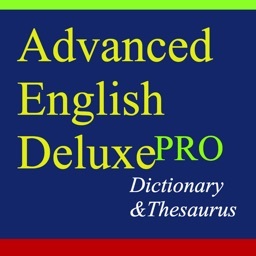 + English Collocations Deluxe: This will teach you to speak and write natural sounding English. With excellent format, you could find which words should go together in sentence. 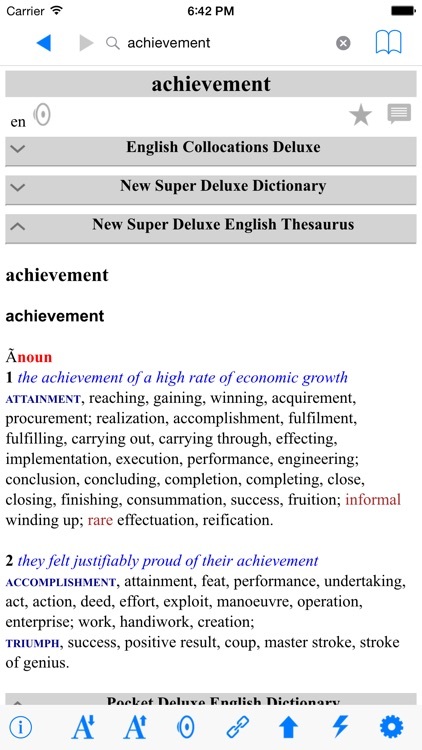 Also supporting lots of examples, it is really useful and practical for improving more natural-sounding English. 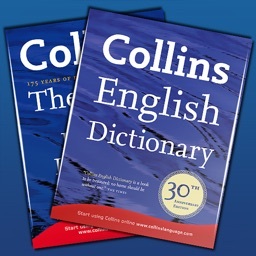 This dictionary focuses on contemporary English as it is really used, informed by currently available evidence and the latest research. 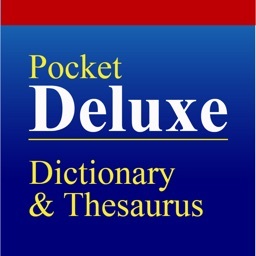 The dictionary places the most frequently used meanings of each word first, followed by secondary and technical senses, slang, idioms, and historical and obsolete senses. There are over 500 boxed usage notes, giving guidance on all aspects of the language and backed up by extensive analysis of the evidence. 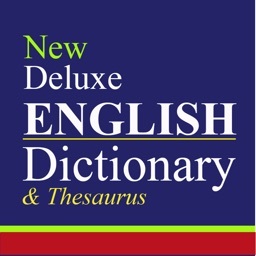 Featuring 350,000 words, phrases, and definitions, this dictionary offers comprehensive coverage of English as it is actually used in the 21st century. 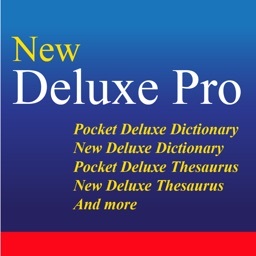 This dictionary is ideal for anyone who wants a comprehensive and authoritative thesaurus of current English, for use by writers and editors, students, and crossword and puzzle solvers at work or at home. 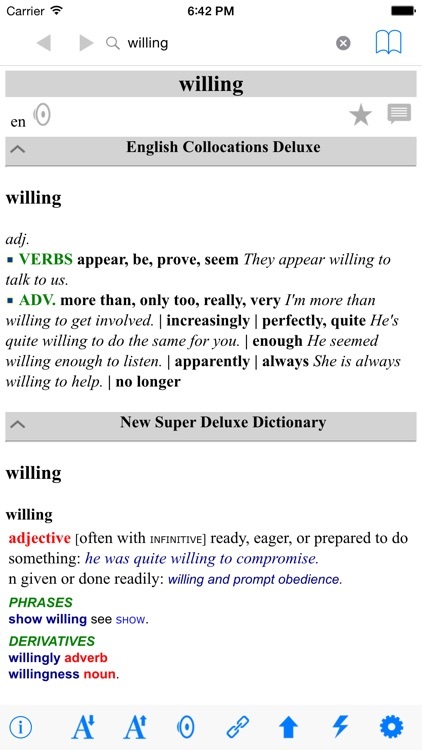 Also defining word meanings into boxed usage notes, colors, a comprehensive data, and a smart words layout, it offers a great tool for anyone who want to improving English. 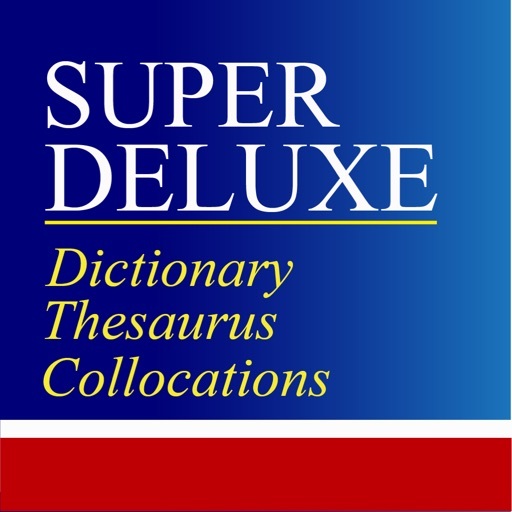 Similar to New Super Deluxe Thesaurus, this dictionary is also giving you a comprehensive and authoritative thesaurus of current English, for anyone who want to expanding and mastering their vocabularies and its thesaurus in a short time. 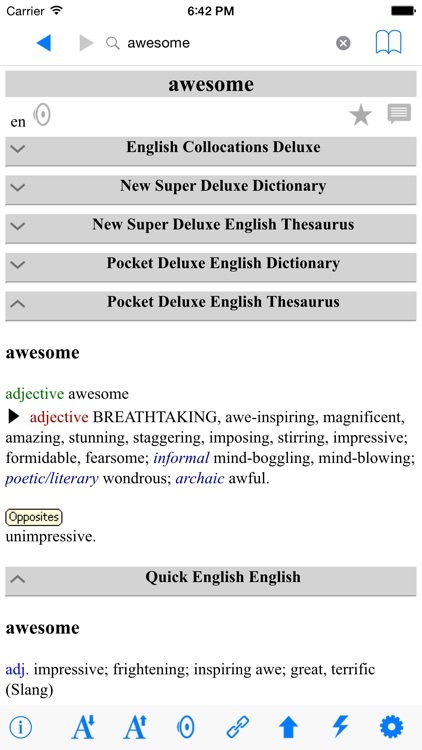 Amazing free dictionary by Princeton University. 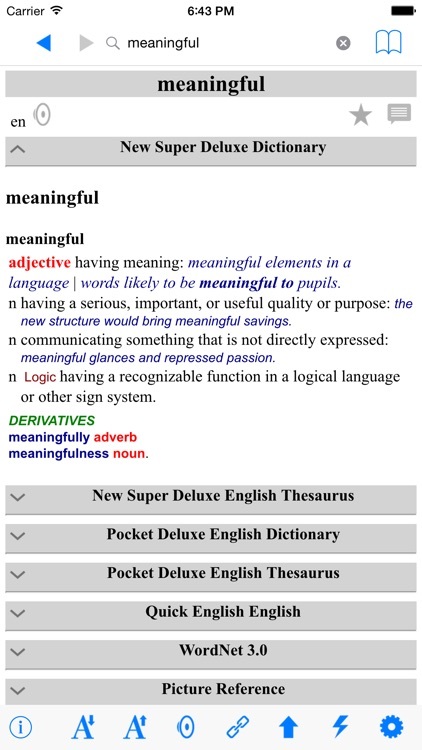 It defines meanings in groups, giving you a wide range of synonyms, thesaurus, ... and more related words. 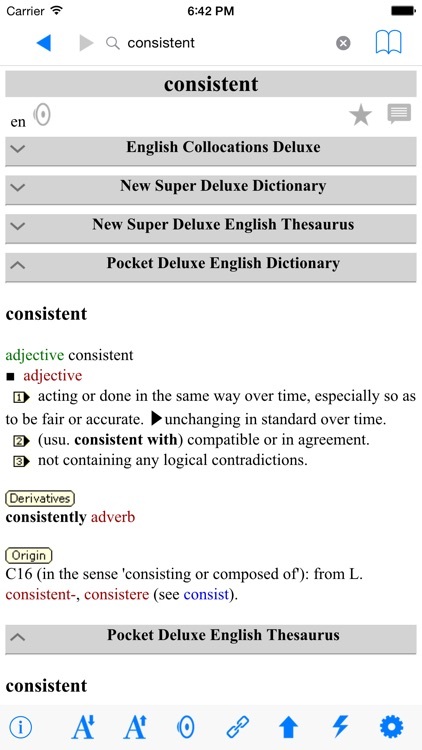 Also you could easily tap on related words to move quickly to its meanings.